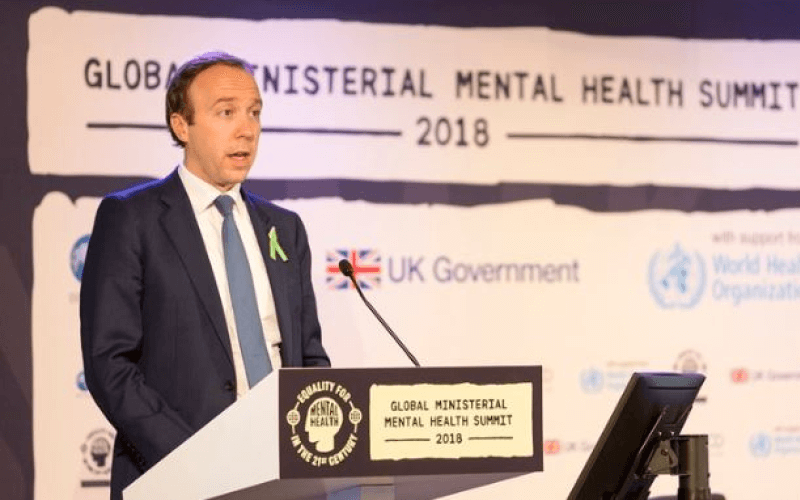 The government has been asked by campaigners from across the world why it blocked the “meaningful” involvement of user-led and survivor organisations in this week’s high-profile global mental health summit in London. Two open letters have criticised the way the Global Ministerial Mental Health Summit was organised, and the hypocrisy of it being hosted by a UK government that was heavily criticised over its record on disability rights by a UN committee a little over 12 months ago. One letter, spearheaded by the National Survivor User Network, was signed by more than 100 organisations and individuals, including mental health service-users and survivors, user-led networks, academics and mental health professionals from more than 20 countries, including Argentina, Peru, India, Chile, Columbia, Japan, Kenya, Estonia and Hungary. The letter says there was little or no involvement of user-led organisations in planning the event, in a blatant breach of the UN Convention on the Rights of Persons with Disabilities. It criticises the attempt to position the UK government as a world leader on mental health when the UN committee on the rights of persons with disabilities had raised such significant concerns about its breaches of disability rights, both last year and in a 2016 inquiry report which found it guilty of “grave and systematic violations” of the convention. It also points to the discrimination within mental health services faced by black and minority ethnic communities in the UK, including “high levels of misdiagnosis, compulsory treatment, over-medication, community treatment orders and culturally inappropriate treatment”. And the letter warns that mental health survivor and service-user groups in the global south have objected to attempts – led by the UK – to import “failed western models of mental health care” into their countries. The letter compares the UK government’s “hypocritical” attempt to take the lead in creating a “global declaration on political leadership in mental health” with the decision by the UK to host its Global Disability Summit in July, which also saw an “intolerant government posing as the upholder of the rights” of disabled people. Those signing the letter asked the UK government to commit to putting forward any declaration that comes out of this week’s summit for consultation and ratification by a wide range of international user-led organisations and disabled people’s organisations, a request it looks likely to ignore. And they asked the government to promise to “lead by example” by changing its “discriminatory laws that threaten the lives of mental health service-users”, including social security policies. The second letter was coordinated by the national service-user network Shaping Our Lives (SOL) and was signed by NSUN and user-led grassroots groups including the Mental Health Resistance Network, Disabled People Against Cuts and Recovery in the Bin, all of which also signed the first letter. This letter raises concerns that the summit would “seriously misrepresent the issues and problems of mental health and mental health service users globally” because of the “systematic exclusions” of representatives of user-led and survivor organisations. This exclusion, the letter says, was a clear breach of the UN convention. It says that the summit’s organisers side-lined attempts by the European Network of (Ex) Users and Survivors of Psychiatry (ENUSP) and the World Network of Users and Survivors of Psychiatry (WNUSP), both of which signed the letter, to secure invitations for representatives of their organisations. Disability News Service (DNS) has seen a letter from ENUSP to a Department of Health and Social Care (DHSC) civil servant, sent last month, after both ENUSP and WNUSP failed to receive invitations to take part in the summit. ENUSP suggested a string of elected representatives from member organisations across Europe who could attend the summit and pointed out that it was “the only grassroots, independent representative organisation of mental health service users, ex-users and survivors of psychiatry at a European level since 1990”. It stressed the importance of having “representative people with lived experience at the Summit”, but the civil servant turned down the offer and said there were only spaces left for representatives to take part in the area of finance and investment at the summit. This is a specialist area where the ENUSP representatives would not have been able to make a meaningful contribution. Asked to comment on the two letters, a DHSC spokeswoman said: “All dialogue on mental health is key; we have invited a range of people from those with lived experience, to civil society, academics and policy makers who represent more than 65 countries from around the world. 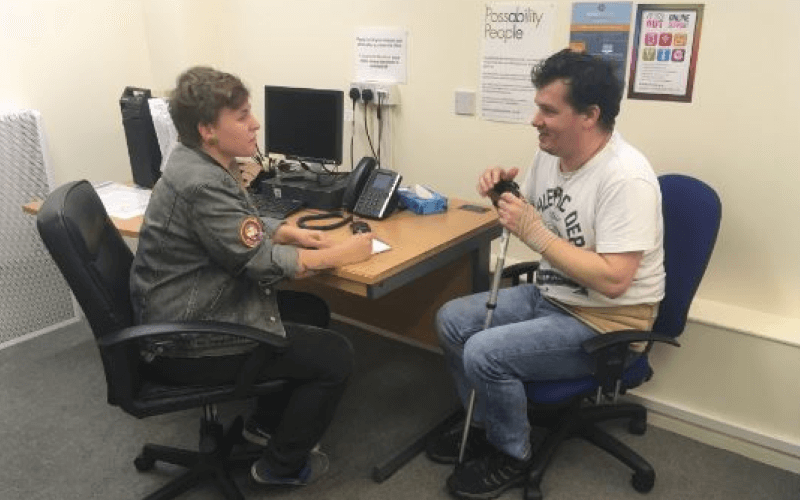 “We have ensured that the involvement of people with lived experience ‎has run throughout our work on the summit, with their experiences at the heart of our advisory panel and in every workstream. “Those with personal experience attending were nominated by representative groups of people with lived experience – this group of consultees include the convener of this open letter and the signatories include people who are attending the summit. She declined to say whether any declaration from the summit would be put forward for consultation and ratification by user-led organisations and DPOs, or whether the UK government would promise to lead by example by changing its discriminatory laws. He said this would “explain the strong divergence between the claim to involve service-users and the amazingly broad-based criticism there has been from them and their organisations”. Jasna Russo, a survivor-researcher from Germany and a member of ENUSP, who helped draft the SOL letter, was invited by the UK government to attend the summit as an individual with lived experience, but after she asked if she could attend as a representatives of ENUSP her request for funding was rejected. She told DNS: “Regardless of how many countries they come from, there is a big difference between inviting persons with ‘lived experience’ and representatives of international grassroots organisations who are working on the summit’s topic for many years putting forward independent advocacy for users/survivors and people with psychosocial disability. “This gathering was simply not interested in such perspectives. As in many other involvement initiatives – people subscribing to medical model of mental illness are far more attractive partners than those bringing in political and socio-economic issues.